"Over the course of six weeks, we'll gain a deeper understanding of ourselves and a new understanding into the characters we play." 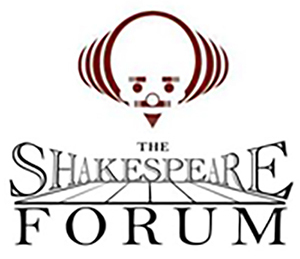 The Shakespeare Forum, a professional educational-oriented theater program in New York City, will be conducting course in clowning and in stage fight through the end of the year. The purpose of the classes, however, is to learn tools that can enrich the whole acting experience. With "Clowning in Classics," just as the tools found in William Shakespeare's verse can unlock personal choices in the text, becoming immersed in classic clown structures can unlock deep emotional truths, according to a class description. "We give ourselves permission to feel sorrow and joy, rage and fear, and express that from our innermost selves to the tips of our toes," says a company mailer. "Over the course of six weeks, we'll gain a deeper understanding of ourselves and a new understanding into the characters we play." Clowning in Classics will be conducted on Wednesdays, 7–10 p.m. Nov. 9–Dec. 14. Violence is part of the human experience, and most plays have some sort of violence in them. The Stage Fight class we will explore this part of the human condition through stage violence "in order to take your acting to a deeper level," says the mailer. ByÂ investigating numerous hand-to-hand forms of violence in a safe and fun way, "you will learn to open your physical self through the form and technique of stage violence, allowing you to develop an awareness of your physical state and use your body as a vehicle to express the emotional content of your work." Stage Fight classes will be conducted on Mondays, 7–10 p.m. Nov. 14–Dec. 19. Tuition for each class is $300 per person with a scholarship spot available. To sign up, email education@theshakespeareforum.org.